1. Wear tight or fitted clothes to a holiday party to prevent overeating. You should be able to wear whatever makes you feel your best instead of letting food dictate your fashion choices. Your body’s hunger and satiety signals will work regardless of how you dress. The holidays are about connecting with family and friends, not being preoccupied with how uncomfortable you are. 2. Don’t eat all day to save all of your calories for the feast or party. Not eating quality food with protein and fiber throughout the day is a surefire way to cause you to dive headfirst into the dip bowl because of extreme hunger. 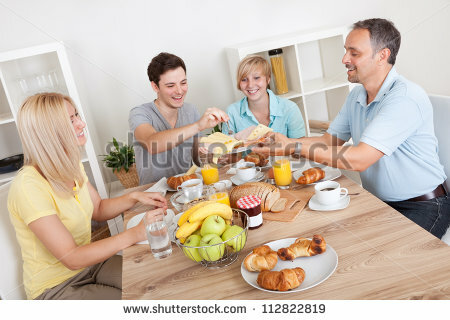 I always recommend having packed breakfast or brunch and a small snack like a hard-boiled egg or Greek yogurt with berries before leaving for your celebration. That way, you can take a more rational approach to the appetizers and avoid filling up too quickly on high-calorie and high-fat snacks. 3. Fill your plate with salad and crudités at the holiday buffet so you don’t overdo it. This advice is just plan sad, plus it sets you up for a buffet binge later in the night when the cocktails may have kicked in. You can get baby carrots anytime! Instead, acknowledge your desire for something special and be mindful of your choices. Take a small portion of just those items that you can’t get at other times of the year or that are most special to you. 4. Don’t make a plate; you’ll eat less. No! Make a plate. Fill your plate once so you know exactly how much you consumed and won’t be tempted to keep revisiting the buffet. Finger foods can be dangerous since you can easily walk by the buffet table and grab more than you realize. Before you know it, you are full of sausage balls, cheese cubes and cookies. 5. Go on a liquid cleanse the day before the feast or party to negate the excess calories consumed during that meal. Depriving yourself of adequate meals prior to a day when mindful recipe options may not be available will lead to excessive eating because your body is seeking nutrients and food. You will find yourself overeating on this day to compensate for the lack of food the day prior. If you keep your meals balanced throughout the week, however, one day of splurging on that pumpkin pie and seconds on the gravy and stuffing will not hinder your health (or your weight). 6. Make a totally different version of your favorite holiday dish to reduce calories. While using, for example, less butter or cream may not make a difference [in taste], if you make mashed cauliflower instead of grandma’s creamy mashed potato recipe that you only have once a year, you likely won’t feel satisfied. This ‘strategy’ not only takes away from a holiday tradition but can also lead to overeating on the food to attempt to feel more satisfied. 7. Eat more to prevent food from going to in the garbage. While food waste is a big concern, there are other ways to put leftovers to use than eating them all in one sitting. Leftover turkey can be used to make sandwiches or a homemade turkey soup, while the extra vegetables and potatoes can be combined with eggs to create a colorful frittata. 8. You can work off all those extra calories with some exercise. Just because you did a turkey trot doesn’t mean it’s a good idea to eat two turkey dinners and waddle home. It’s a great idea to keep up with your exercise routine during the entire holiday season but be careful not to use that as a constant reason to overindulge. 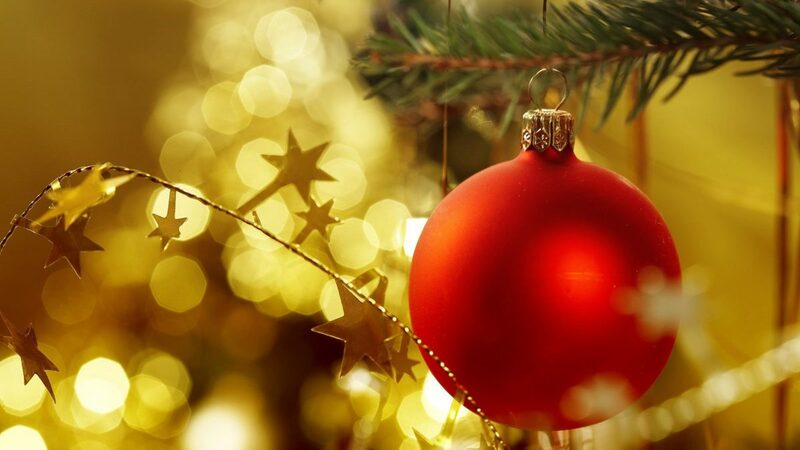 Holidays are not about the food – they are about the friends, family and fun to be had with all. Live fulfilled and enjoy them! Food brings us together to nourish our bodies; people around us nourish our spirits and knowing you will be OK nourishes your mind. Keep yourself on track and embrace every holiday by practicing mindful eating. 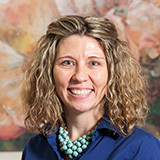 Terri Mozingo, RD, LDN, CEDRD is a Certified Eating Disorder Registered Dietitian passionate about helping her clients achieve overall wellness. 1. Farm fresh: Produce found in the grocery stores are typically several days old before they reach the store. Produce is often shipped from thousands of miles away, where it must be refrigerated and requires additives to keep it looking fresh. Produce from farmer’s markets are usually handpicked that morning, so it is as fresh as possible. It also ensures that you know what is in your food. Most of the farmers work at their own stands, which gives consumers the chance to talk to them about how they grow and handle their produce. 2. Seasonal: Produce from farmer’s markets are fresh and grown in season; whereas, produce found in the grocery stores are not. 3. Ripe: Produce found at farmer’s markets are picked at the peak of ripeness, which not only tastes better but also provides the best nutrition possible. 4. Affordable: Produce purchased from farmer’s markets are typically cheaper than the produce purchased from grocery stores. 5. 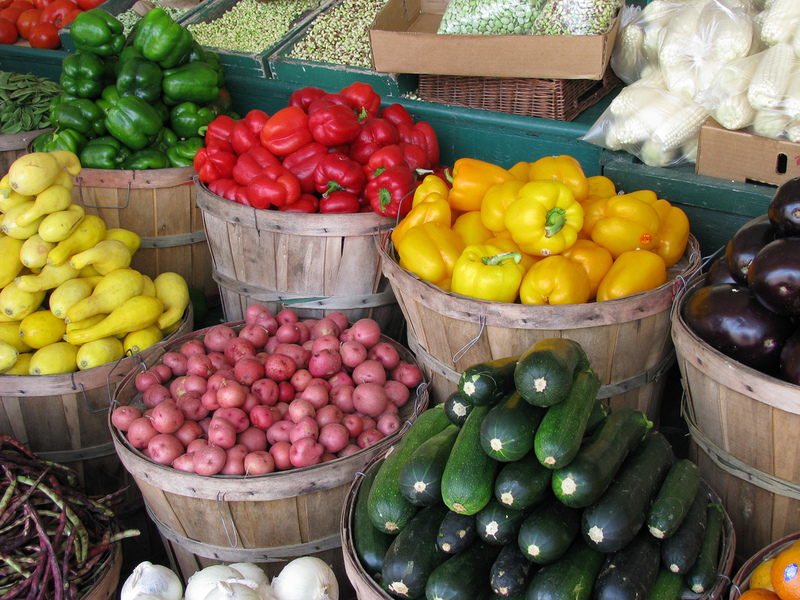 Supports local economies: Produce from farmer’s markets are grown within 100 miles of the market. This means the money spent at farmer’s markets helps support local farms thus benefiting the community. Local farms have decreased over the years because of the cost of running a farm and competing with corporate grocery chains. Purchasing from these local farms supports them, giving them the opportunity to provide to consumers as an alternative to mass-produced foods. 6. Better for the environment: Local farms conserve fossil fuels, provides less waste in the form of carbon monoxide, pesticide use and chemical fertilizers. 7. Social: Farmer’s markets are a great place to gather and meet other people in the community. Check out http://www.ncagr.gov/markets/chart.htm to find what is in season, and then head to your local farmers market to pick it up for dinner. The new and “Free” Weight Watchers program directed towards adolescent’s may negatively harm them. Weight Watchers announced on February 7th, that they will be providing free memberships, six weeks during the summer, for teenagers between the ages of 13 to 17 years old. Weight Watchers aims to increase its’ program reach to 5 million people by the end of 2020 – as they plan to build lifelong customers. The question here is, what are the impacts of this program on adolescents today? Although this may initially sound enticing and may be hard to see the harm, let’s look at some points that show how this could negatively impact teenagers–now and in the future. Weight Watchers is sending out a message to all teenagers, participants of the program or not, that something is wrong with their body, which is a form of body shaming. Is this the kind of message that we want to give to teenagers today? According to the Mayo Clinic, one of the main reasons teens develop eating disorders is SOCIETAL PRESSURE. We should be showing teens we love them as they are. The obesity epidemic is no doubt a major concern relating to teens’ health and to their future. Obesity and eating disorders are widespread among teenagers. Everywhere you turn, there is a picture of what a perfect body looks like and the many ways one can try to achieve it. However, programs such as this needs to be evaluated before being promoted, especially considering the psychological outcome. A 2016 research study by the American Academy of Pediatrics suggests that obesity prevention can lead to eating disorders. Eating disorders are the 3rd most chronic condition following obesity and asthma in adolescents. Adolescence is a critical age where the individual develops self-identity, and messages like these can trigger young people to believe their bodies are not perfect, which can lead to eating disorders. So, if programs and messages like these are not in the best interest of the child then how do we help them? What we need to do is to create a more balanced environment for them to be able to adopt a healthier lifestyle – guiding them constructively to make healthier and wiser choices and to increase physical activity is the best approach. This message starts at home with parents. They have the biggest responsibility of shaping a child’ behavior. What they eat and how they live their lives is determined by their environment and relationships at home. We want to create a healthier body image not a distorted body image. This can be accomplished with an integrated approach from family members and health professionals such as a registered dietitian to apply lifestyle modifications. This blog is co-written by dietetic student intern Rub Ali. Each year on the fourth Thursday in November, Americans gather for a day of feasting, football and family. While today’s Thanksgiving celebrations would likely be unrecognizable to attendees of the original 1621 harvest meal, it continues to be a day for Americans to come together around the table—albeit with some updates to pilgrim’s menu. With so much emphasis on the fat, calories, and potential dietary pitfalls of Thanksgiving dinner I thought I’d put a positive spin on the indulgent meal. I mean, with all the eating you’ve got to be getting some kind of nutrients, right? And, with the exception of canned cranberry sauce, (Uncle Joe insists on having it) everything on the table at my families’ Thanksgiving is homemade, and that has got to count for something! 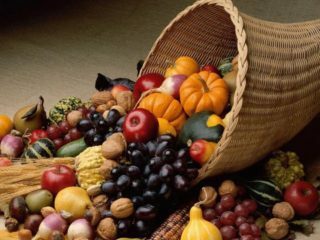 Read on to see the HEALTH BENEFITS of Thanksgiving dinner! Just 5oz of turkey provides half the recommended daily allowance of folic acid and 32g of protein. 5oz of mashed potatoes pack 27mg of vitamin C—that’s 45% of the RDA. A half-cup serving of sweet potatoesprovides 330% of your recommended daily allowance of vitamin A! One half-inch slice (about 1/8th of a can) of cranberry sauce is only 86 calories and .1g of fat. Even better, make your own for the full antioxidant, and infection-fighting benefits of cranberries! Traditional stuffing doesn’t offer much but cook it in a separate dish, outside the turkey, to save yourself 70 calories per tablespoon! A 5oz glass of wine is packed with the antioxidant reservatrol, which reduces bad cholesterol and prevents blood clots. 1/8th of a 9” pumpkin pie packs 4.2g of fiber and 288mg of potassium, which helps counteract the high levels of sodium in a traditional Thanksgiving meal. Now you know what you stand to gain from a traditional Thanksgiving dinner—aside from pounds. Happy Thanksgiving! Eating disordered behavior reflects a dysfunctional relationship with the self. Family members cannot “fix” the eating disordered individual. It is a unique combination of heredity, environment, culture and conditioning that cause eating disorders to develop…..It is not anyone’s “fault”; it is important to remember that everyone has the same goal of a healthy and happy life for the individual with an eating disorder…be patient and non-judgmental, listen, and remember that it is their responsibility to do the recovery work. Parents possess amazing imaginations. They picture the day when their daughter/son will graduate from college, marry; perhaps even have children of her own. Here’s what they never imagine: a daughter/son with an eating disorder. Unfortunately, millions of children, adolescents and adult women suffer from anorexia and bulimia This means even greater numbers of parents are dealing with something they never anticipated, and worse, cannot possibly understand. The most frequently asked question is “why?” Regrettably, there isn’t an easy answer. The best course of action for parents dealing with an eating disorder is to get help. A wise first step is to take the daughter to a physician, simply to ascertain the extent of the problem. If she/he has a full-blown eating disorder, then it is time to seek professional counseling for her, and very possibly, separate counseling for the parents and other children. Three important points to keep in mind: first, eating disorders rarely resolve on their own; second, if one daughter has an eating disorder, the entire family is impacted; and third, parents must not blame themselves the blame game accomplishes nothing. Remember…Eating disorders are devastating to the individual and highly destructive to the family. You did not cause this; therefore, you cannot fix this on your own. Please get help.